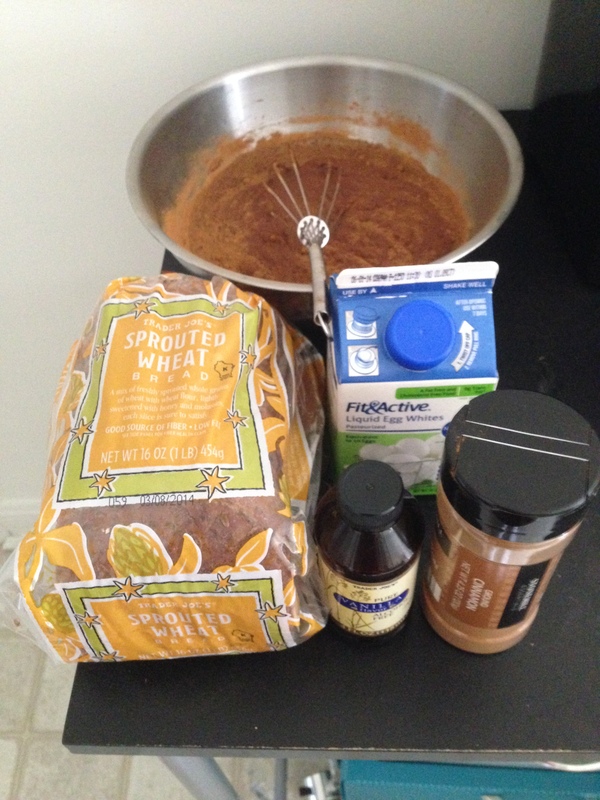 Mix egg whites and cinnamon, then soak the slices of Ezekiel bread. Cook on a skillet. Cover with healthy toppings. Shove into your piehole. While you’re cooking have a protein shake! This is a great way to have a high protein and high carb meal after your workout to replenish and repair your body. What a concept: Simple to make, simple to digest!